Relaxed riverside campground with good facilities but no powered sites. Great base from which to explore Bell Creek Gorge. 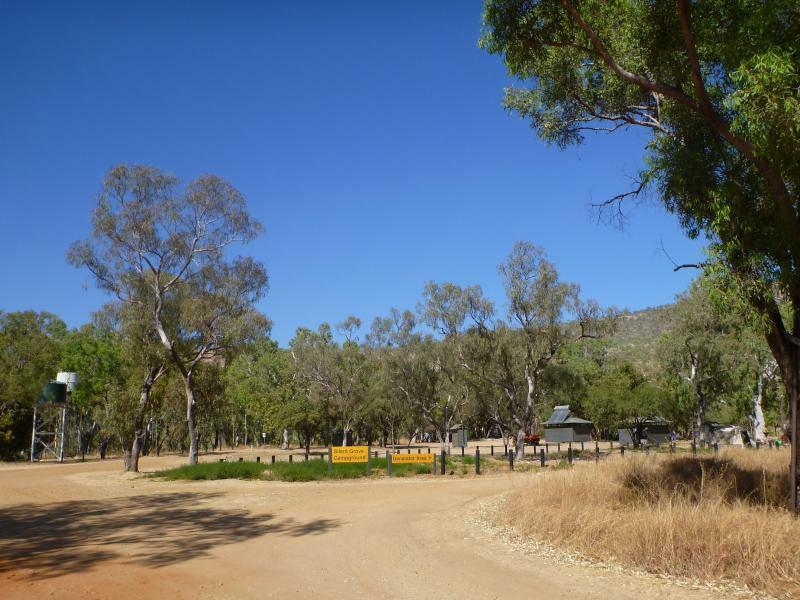 Silent Grove campsite is the best area to set up camp and to see Bell Gorge and Bells Falls, which are about 11km to the north-west of this campsite. Please note that road access is only suitable for off-road caravans or trailers and 4WD vehicles. Silent Grove was named after a homestead that once stood here. A ranger’s station, shower and toilet facilities area available.